When looking for kitchenwares and accessories that really make the grade, there are many things to consider: durability, functionality and of course, their aesthetic appeal (after all, you want your home to look great, don’t you?). Academy Home Goods kitchenwares do all of these things and more. Their range of kitchenware draw upon classic form and utilitarian function while also keeping up with trends and using a variety of materials, such as glass, marble and metals. 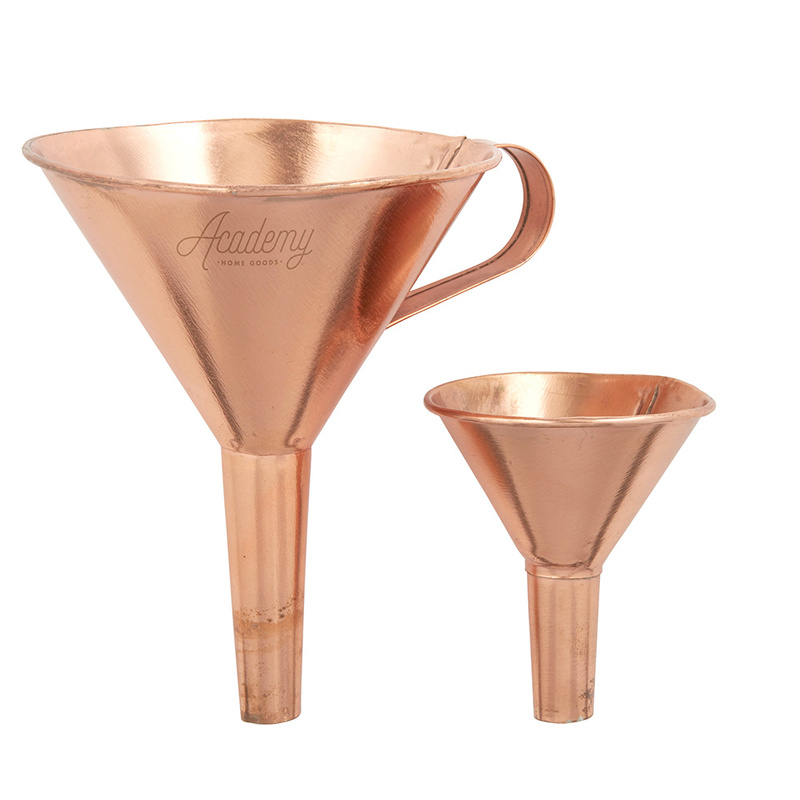 This Orwell Funnel Set treats you to two multi functional funnels crafted from copper. The form and finish offer a classic aesthetic that will bring provincial charm to your home. Set of two multi functional funnels boasting a classic form and aesthetic. Larger funnel features a handle for convenience. Hand wash with a mild detergent. 1 x 13.5cm (h) x 11cm (d) Large Funnel. 1 x 6cm (h) x 6cm (d) Small Funnel.